I was going to write something about Sora no Woto, but some time ago I was directed to a free and very short visual novel that you can acquire and play here. It’s an interesting commentary on writing, gaming, and game design, which incidentally overlaps a lot with what I do, so I’m going to talk about it. If that’s your thing too, I recommend you give it a try: it’s humorous and different and may get you to thinking (or in my case ranting) for at least a tiny bit. If it’s not…well, more on that later. Multiple disclaimers about Save the Date: firstly, I’ll be talking unreservedly about its content as usual, so unavoidable spoilerisation from now on. 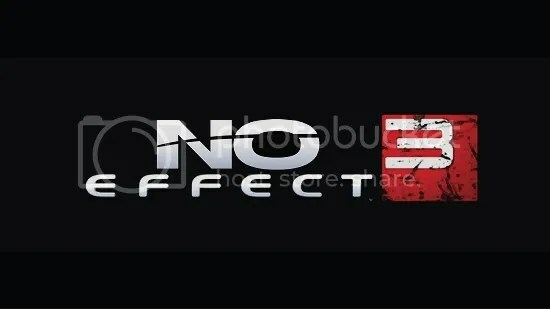 It happens to be one of those games that loses a lot of substance if spoiled, so play it first if you were going to do it. Second: this post is going to be a basically just a wall of text because I don’t really have appropriate pictures; it’s a very minimalist game. Thirdly: I may not have actually finished the game. 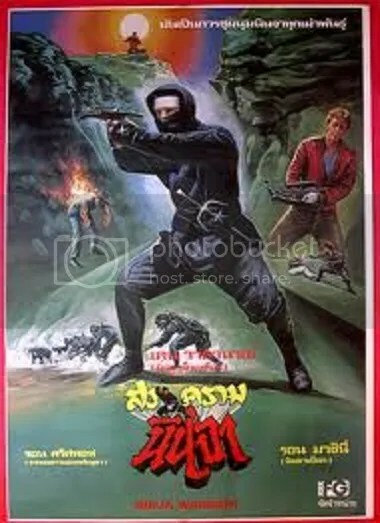 You may not be surprised that I didn’t get a lot of hits on Google Images for ‘Thai ninja’. That last one is worth talking about, because although I’m not sure if I’ve finished the game I’m not going to let it bother me. To explain why we’ll also need to explain exactly what Save the Date is. Technically it’s a visual novel, but it’s more akin to a thought experiment; more novelty than novel, so to speak. Typically speaking we can break down a game into three parts: the gameplay (what you play), the narrative (the stuff that happens in the story) and the meta-narrative (what the game is trying to say). Sure, not all games will have all that; a lot hardly have a narrative, let alone a meta-narrative (though I’m sure any literature major can BS enough for Pacman to look like Hamlet, especially at 3 hours before deadline). It is different, though, for a game to be all meta and little else, but that is pretty much what Save the Date is. The gameplay is simple: you read text, pick choices, stumble into humorously non sequitur bad ends, and amass enough (meta) knowledge to pick the ‘right’ choices to advance the story. 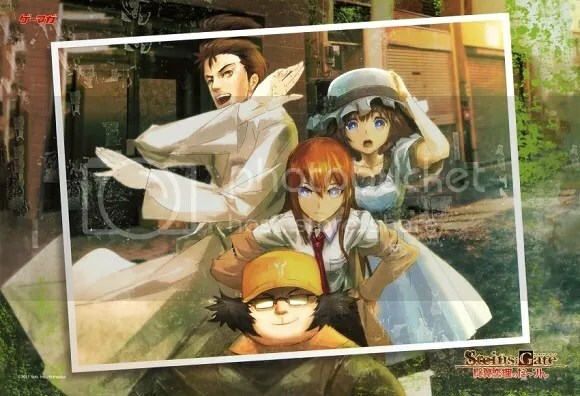 And if you’ve read Steins;Gate you’ll have seen the story before; the heroine Felicia (not Felicity–sorry, obscure joke), who you’re trying to take out on a date is fated to die no matter what you do, so you keep going reloading and doing things over and over again to try and keep her alive. Save the Date is not a time travel story though. It’s not even a ‘redo from the top’ story like Key’s Rewrite. I don’t even want to get started on Endless Eight. Suffice to say, play Save the Date for 5 minutes and your digital straw-girlfriend is already asking you where supernatural knowledge is coming from, and you’re totally free to answer that it’s because she isn’t real and is actually in a video game. In fact, following this line of dialogue completely seriously is how you will eventually proceed in the game. Save the Date ends up being very little game, minimal story, and almost all meta. Eventually it stops pretending it was ever anything but; Felicia fully devolves into an author mouthpiece and the player is forced into a conversation about what the game is about. I’m fairly convinced that Save the Date has no ‘good end’ per se, and that the only way to win is to not play. I’m open to be told otherwise, but in my personal opinion that does not really matter. Save the Date was an interesting experiment, sure. But it isn’t really a game. Heck, it isn’t really even a story. Let me try and break it down. Actually pretty good until it suddenly wasn’t. Save the Date asks, in a very direct manner and rather rhetorically, why exactly we are playing the game. For what reason does the player keep reloading the game and try to find the ‘right’ choice? 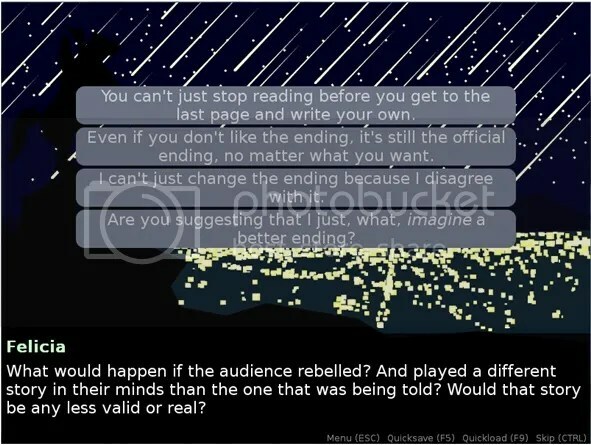 It proposes that there is no need to look for the ‘good ending’ when the player can create their own ending as they please. More on the story side of things, later, but the problem with games is that we have been conditioned to think about them in specific ways. This is not just in regards video games, but basically games of every sort. Games, whether played by adults or children, are almost universally compressed ecosystems, each with their own rules and logic. They translate real world problems into more structured forms. Problems in the real world are often frustrating and unsolvable. Games allows for guaranteed rewards for effort, even if that reward is a simple sense of achievement. This is not about games being ‘hard’ or ‘easy’; that’s all subjective. This is a matter of fundamental causality. If you do X, you get Y. The corollary is that if we want to get Y, we do X. 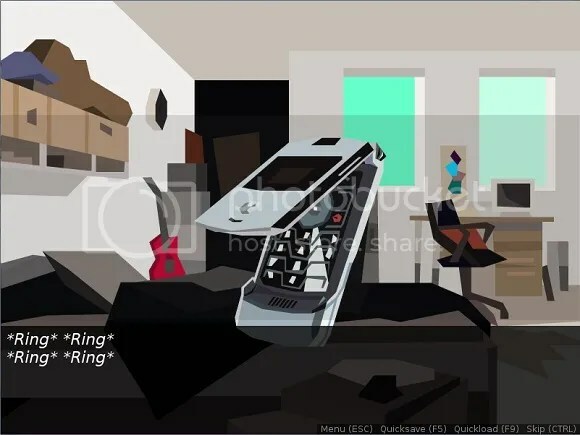 For a visual novel, if the player makes certain choices they will progress the story in certain ways, and that is often the limits of the gameplay there. The implication is that picking choices will show more of the story; in essence the story is the ‘bait’ which gives the player’s gameplay decisions value. Save the Date, though, makes a point of not actually having much of a story; again, it is basically all meta. So basically it is a con; once the player realises that there is no ‘reward’ the game facade collapses. Sure, one can argue that was the intent, that it was supposed to be a deconstruction, etc. Hold that thought; we’ll get to it. Endless Eight is actually also very meta, but the viewer may not realise it. Humans have been using stories to say stuff for a very long time. We have come from finger paintings on cave walls to fables, allegories and parables all with the aim of communicating some kind of idea, concept or moral. Much of the literature we call ‘art’ were written because their authors had something to say. Evidently this holds true for Save the Date, with a noticeable postmodern bent. Save the Date is obviously heavy on the deconstruction. I would argue, though, that it’s perhaps too heavy. The thing about a lot of postmodern literature is that they do heavy deconstruction for the sake of highlighting how nonsensical and meaningless the story (and by extension life) is. Postmodernism and nihilism go in hand. 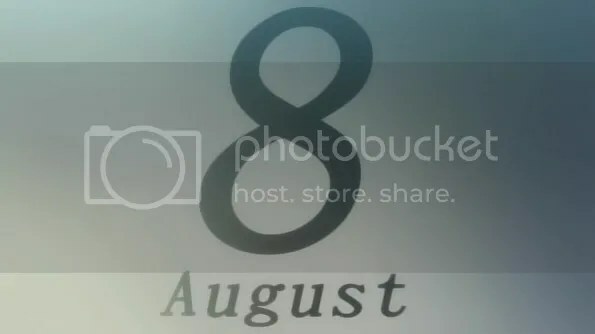 Yes, Save the Date does comment on how meaningless it is to look for the author to provide an ending when the story is as much in the player’s head as anybody’s. At the same time, though, it has at least the start of an interesting story. So it’s like the author (and yes, the author does speak directly to us) has something interesting to offer us, but at the same time is saying what he’s offering doesn’t matter. I know he’s trying to be philosophical but to me, at least, it ended up like he either was trying to have his cake and eat it too, or tempting Charlie Brown into kicking the ball. I don’t mean to be negative about Save the Date; I think I just disagree with it. Obviously the author went into it with a specific philosophy, but I don’t think it’s supportable in practice. All that stuff about the story being inside the reader’s head? That’s not really true. Even for games as stories, it’s a bit of a collaborative exercise. Let me elaborate. No, the story would be one of those trippy Harry x Hedwig slashfics. Games, especially computer games, are a relatively new medium for stories, and a fairly revolutionary one, because of the way it allows stories to become an interactive. To have players take possession of the narrative and get personally invested in its development is a very different storytelling experience than say War and Peace. Some games, taking advantage of this new storytelling medium, are elaborate multi-branching narratives that factor in player choice to determine the actions of the characters. Even the humble visual does so, to allow the player to get into the role of the main character, choose routes, etc etc. Even in the most sandbox-like games, though, the player would rarely be left just tabula rasa. Games as stories do not purely reside in the mind of the author or the player or whatever; they are dialogues, a back and forth of inputs and responses. Until we create true AI and virtual Dungeon Masters, however, this dialogue is incredibly fragile, almost illusory, a bit of an ad hoc Turing test between player and game. Often this illusion is broken because the game fails to offer the choice that the player actually wants to make; having invested into the role of a character, this dissonance destroys suspension of disbelief. While sometimes, like in Bioshock, the robbery of choice is used for development, more often the implicit dialogue turns back into a monologue. I recall playing through Deus Ex: Human Revolution and coming to the ending, which offered 4 different choices. I didn’t really want to do any of them and can think of reasonable alternatives for my character, but I had to chose one of the 4 to proceed. At the point I felt very divorced from the ending. Save the Date, for better or worse, deliberately throttles dialogue in favour of monologue. As in at some point it just drops everything and starts talking at you. Both the game and the story until then are retrospectively turned into experiments and example cases in what is essentially a lecture from the author. And that’s the frustrating thing: while I don’t agree with the author’s philosophy I can understand where he’s coming from, but the game doesn’t allow me to properly reply. My character, as my avatar, must submit. One can feel the disconnect. So, conclusions? I mostly enjoyed Save the Date, being one to enjoy Groundhog Day stories and whimsical metahumour. But that all breaks down in the end, ensnared as they were in the dreaded author soapbox. It’s great that the author had something to say, but it’s also hazardous. Anyone read George Orwell’s 1984? Remember when in the middle of the book Orwell suddenly busts out an essay? That is like literally losing the plot. Having a didactic story is great, but keeping the didactic and the story together is important too. What’s missing from the ‘ending’ of Save the Date, in my opinion, is subtlety; I think the power of fiction is always in helping the audience create ideas, rather than forcing them directly. Er, like Inception. On one level, yes, that’s what Save the Date is trying to do. On another level it tries very hard to make a point, and doesn’t trust the reader to get it. So, exactly how much are you trusting your audience with your creative process? That seems to be the last question we’re left with.